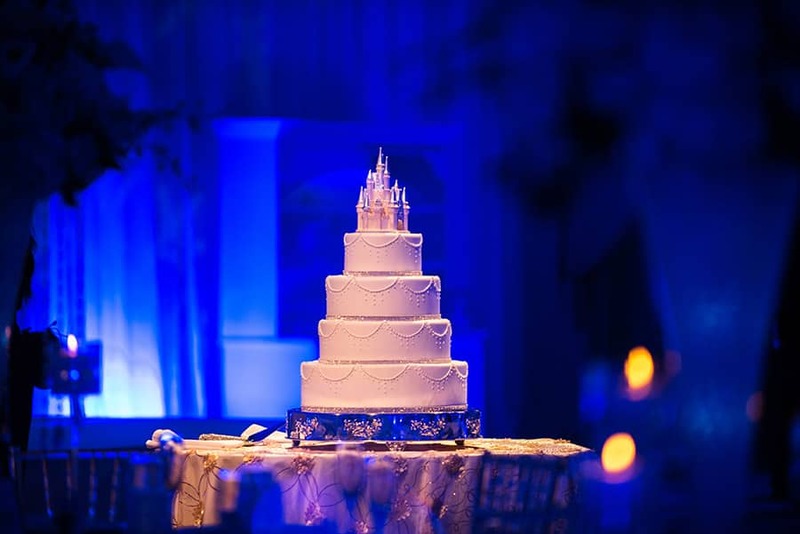 As we wrap up the first week of winter, we figured there was no better time to showcase our Winter Wonderland inspired wedding cake from Disney's Fairy Tale Weddings: Holiday Magic! 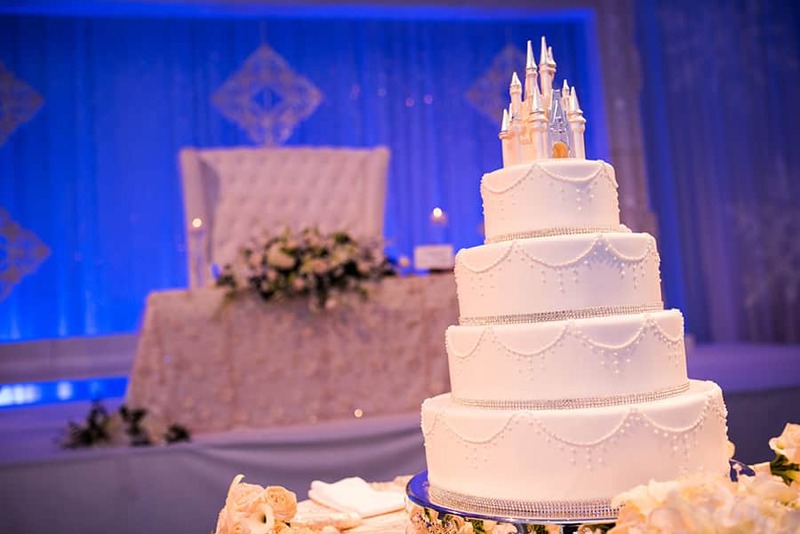 The beautiful couple, Joe and Dominique, enjoyed the elegant and classic four tiered design complete with a Cinderella Castle cake topper. 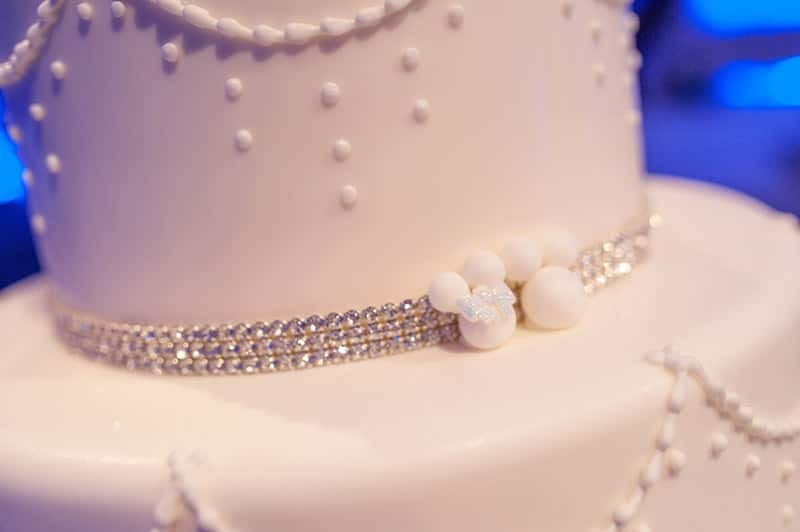 From the delicate piping to the crystal accents on each tier, there wasn't a single detail left out. 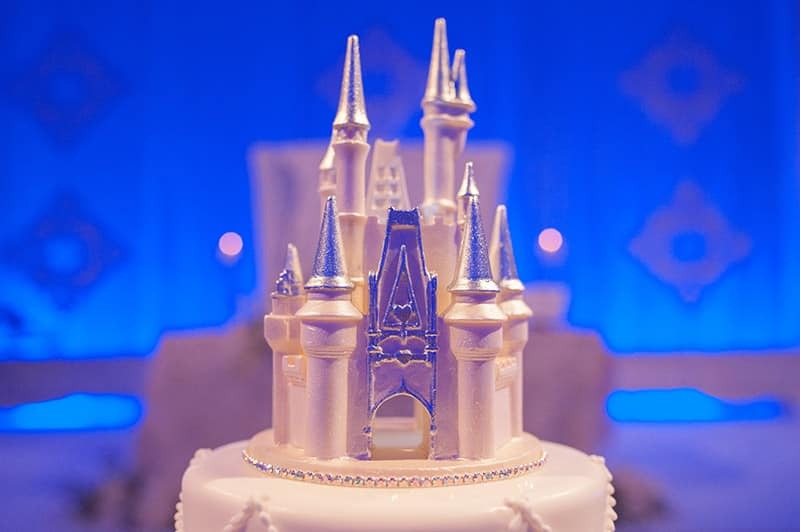 You can even spot a hidden Mickey and Minnie on one of the tiers!